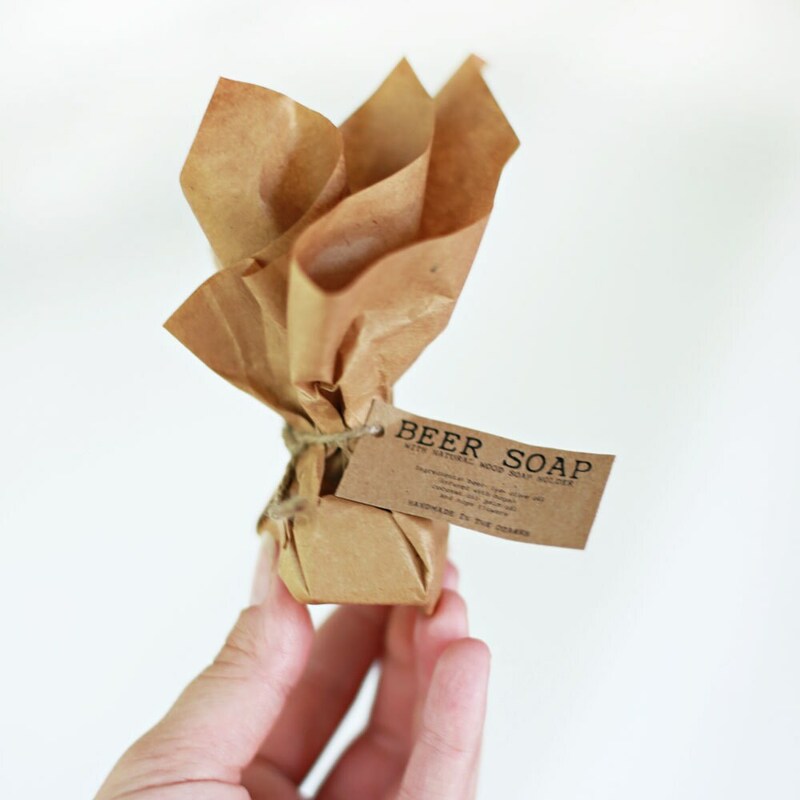 These adorable MINI BEER SOAP PARTY FAVORS are so much fun! These little bundles are fabulous and gorgeous as wedding favors!!! This listing is for a mini bar of beer soap (approx. 1 inch tall x 1 1/4 inches wide x 2 1/4 inches long with the soap dish) and a handmade wooden soap dish packaged together with twine and Japanese Washi tape. This is a PERFECT gift for a Beer lover or the man who is hard to buy for!!! 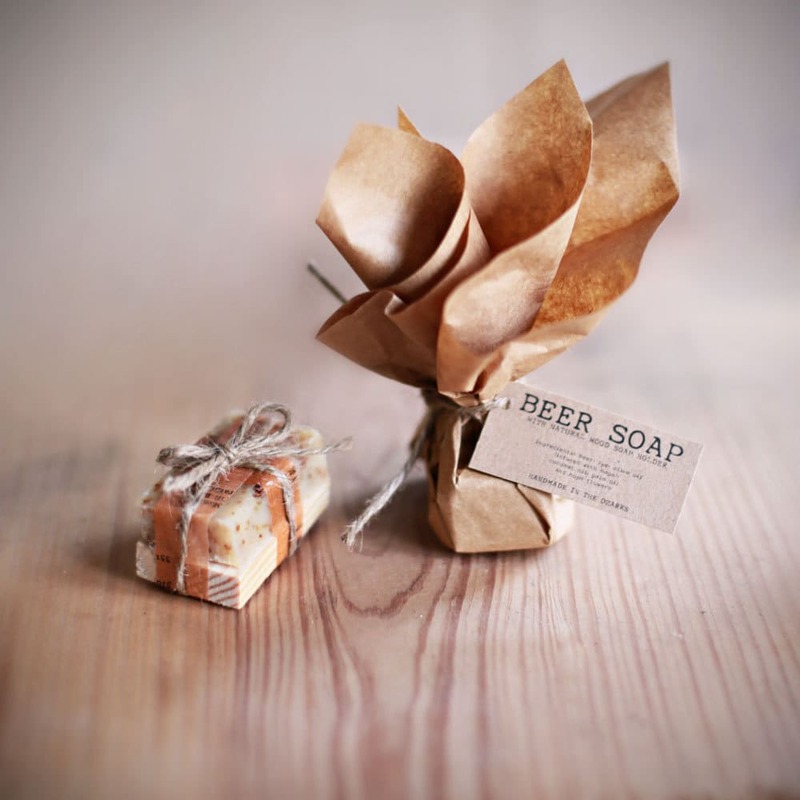 These come presented in Kraft Paper tied with Jute and include a BEER SOAP tag with ingredients. 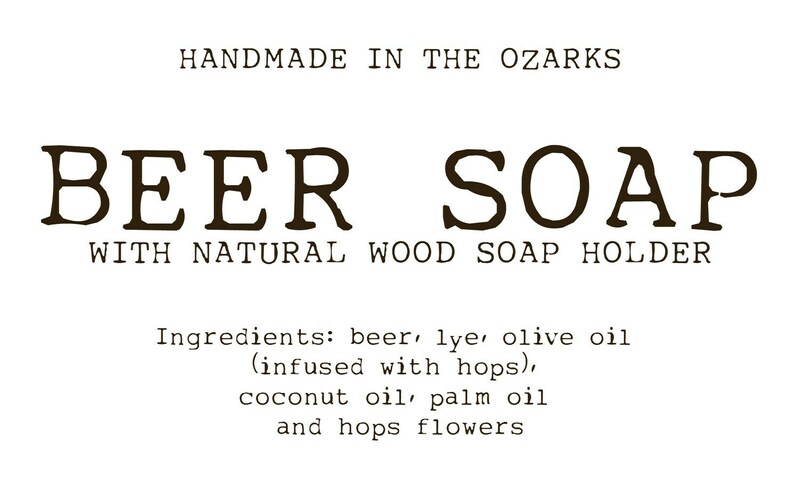 I have collaborated on this set with a local soap maker from Coko's Soaps, who uses the traditional soap making process. Everything is all natural and made from scratch. These are perfect. Excited to give them out as gifts. I did contact the Shop about *this issue* before writing this and received no reply. I am not a big Shop like this LeBoxBoutique and do not have a lot of money at my disposal - so when I chose to order the 'Mini Beer Soap Party Favours' it was to give to some of my customers. However,the wax paper the soap arrived in was clearly inadequate for international post - all the soap had torn through - it was packed with little protection or separation from the boxes I also ordered - both were in the same big postage box - soap went on to the boxes ~ which forced me to arduously recover each box's lid with coloured photographic prints, at a high standard, to salvage the boxes for use. This cost me hours of extra time, wasted money on dried up soap that was not fit to be used for anything but refuse. Please do not buy this product.